Magento is currently the largest open-source eCommerce platform in the world. Due to its feature rich and extensible code base, merchants with large and small operations all around the world have been using it for a wide variety of projects. A series of useful design patterns adopted throughout the code, improving the code quality and decreasing probability of errors created by modules—These include automatic dependency injection, service contracts, repositories, and factories, to name a few. The learning curve for Magento 2, with all of these changes, has become even steeper. In this article, I intend to show you how to develop your first Magento 2 module, and point you in the right direction to continue your studies. Let’s get to it! From all of the above, OOP is probably the most important one. Magento was initially created by a team of experienced Java developers, and their legacy can certainly be seen throughout the codebase. In case you are not very confident about your OOP skills, it might be a good idea to review it before beginning your work with the platform. Magento’s architecture was designed with the intent of making the source code as modularized and extensible as possible. The end goal of that approach is to allow it to be easily adapted and customized according to each project’s needs. Customizing usually means changing the behavior of the platform’s code. In the majority of systems, this means changing the “core” code. 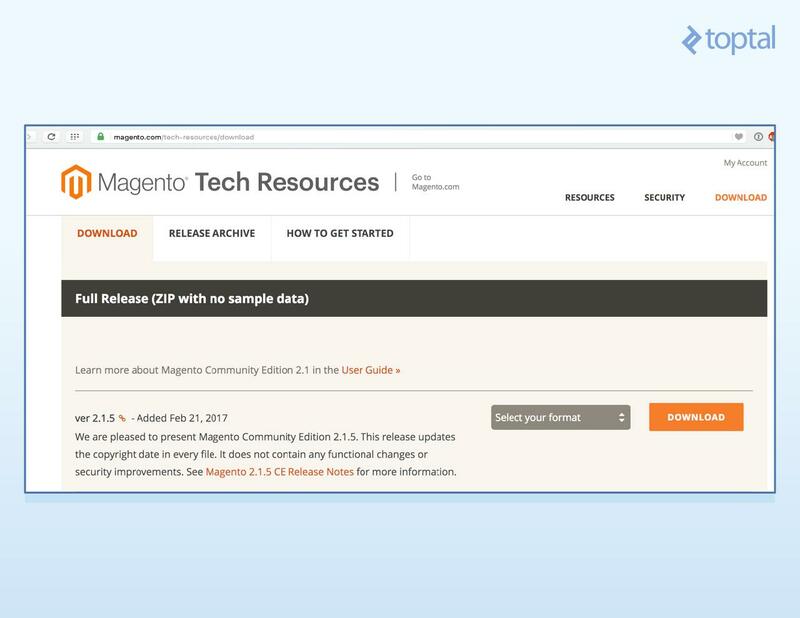 In Magento, if you are following best practices, this is something you can avoid most of the time, making it possible for a store to keep up to date with the latest security patches and feature releases in a reliable fashion. The Model holds the business logic of the application, and depends on an associated class—the ResourceModel—for database access. Models rely on service contracts to expose their functionality to the other layers of the application. The ViewModel interacts with the Model layer, exposing only the necessary information to the View layer. In Magento 2, this is handled by the module’s Block classes. Note that this was usually part of the Controller role of an MVC system. On MVVM, the controller is only responsible for handling the user flow, meaning that it receives requests and either tells the system to render a view or to redirect the user to another route. 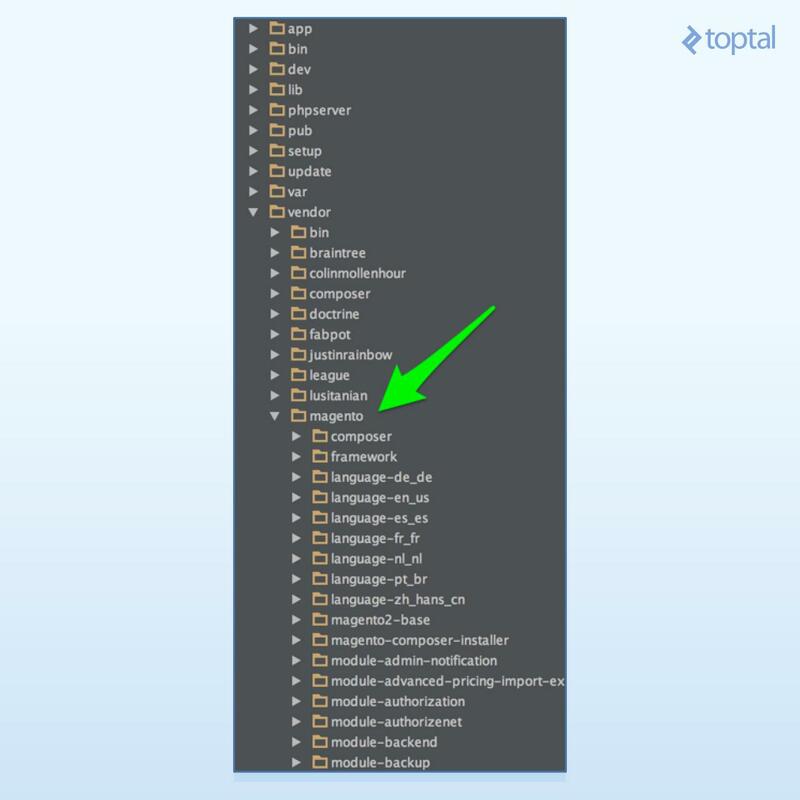 A Magento 2 module can in turn define external dependencies by using Composer, PHP’s dependency manager. In the diagram above, you see that the Magento 2 core modules depend on the Zend Framework, Symfony as well as other third-party libraries. Below is the structure of Magento/Cms, a Magento 2 core module responsible for handling the creation of pages and static blocks. etc: Configuration XML files—The module defines itself and its parts (routes, models, blocks, observers, and cron jobs) within this folder. The etc files can also be used by non-core modules to override the functionality of core modules. Helper: Helper classes that hold code used in more than one application layer. 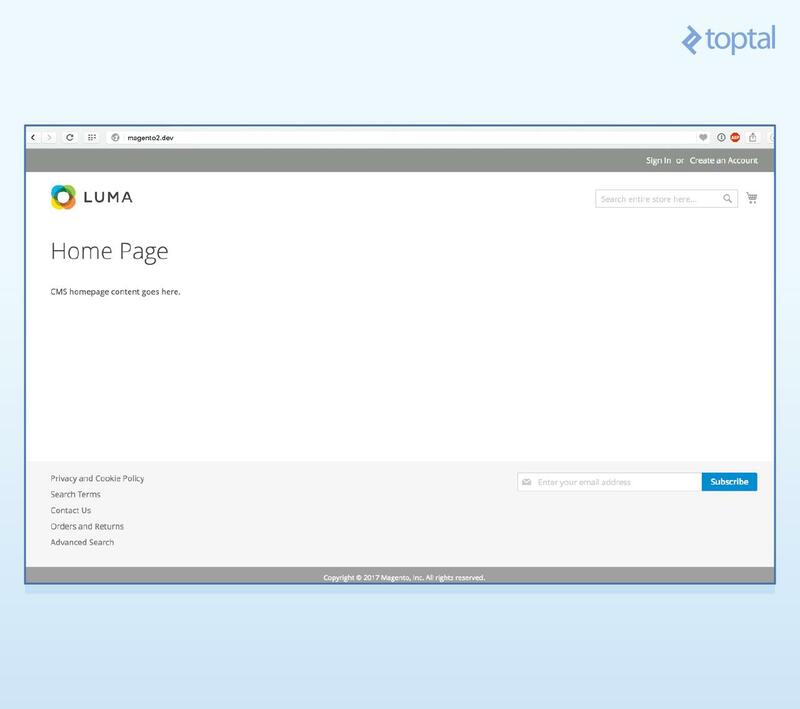 For example, in the Cms module, helper classes are responsible for preparing HTML for presentation to the browser. Observer: Holds Observers, or Models which are “observing” system events. Usually, when such an event is fired, the observer instantiates a Model to handle the necessary business logic for such an event. It is also interesting to notice that, in practice, all of Magento 2’s inner workings live inside a module. 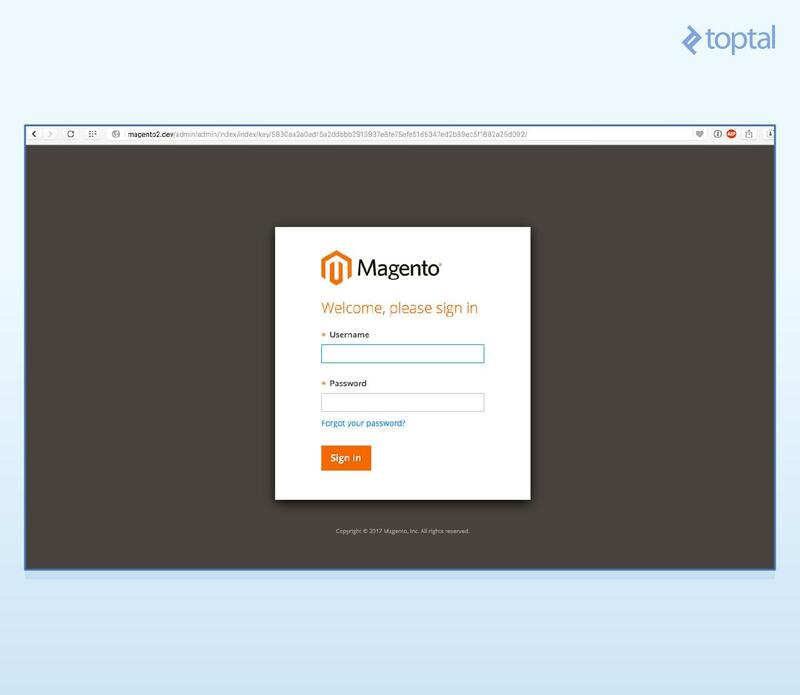 In the image above, you can see, for instance, Magento_Checkout, responsible for the checkout process, and Magento_Catalog, responsible for the handling of products and categories. Basically, what this tells us is that learning how to work with modules is the most important part of becoming a Magento 2 developer. All right, after this relatively brief introduction to the system architecture and module structure, let’s do something more concrete, shall we? Next, we will go through the traditional Weblog tutorial in order to get you comfortable with Magento 2 and on track to become a Magento 2 Developer. Before that, we need to set up a development environment. Let’s get to it! At the time of this writing, we were able to use the official Magento 2 DevBox, which is a Magento 2 Docker container. Docker on macOS is something I still consider to be unusable, at least with a system which heavily depends on fast disk I/O such as Magento 2. So, we will do it the traditional way: Install all packages natively on our own machine. Installing everything surely is a bit more tedious, but the end result will be a lightning-fast development environment. Believe me, you will save hours of work by not depending on Docker for your Magento 2 development. The second variable—$MAGE_MODE—sets the runtime mode for our shop. As we are developing a module, we will use the developer mode. This allows us to code faster, as we won’t have to compile or deploy static files while developing. The other modes are production and default. The real use for the latter is not yet clear. After this variables are set, we define the vhost root path. 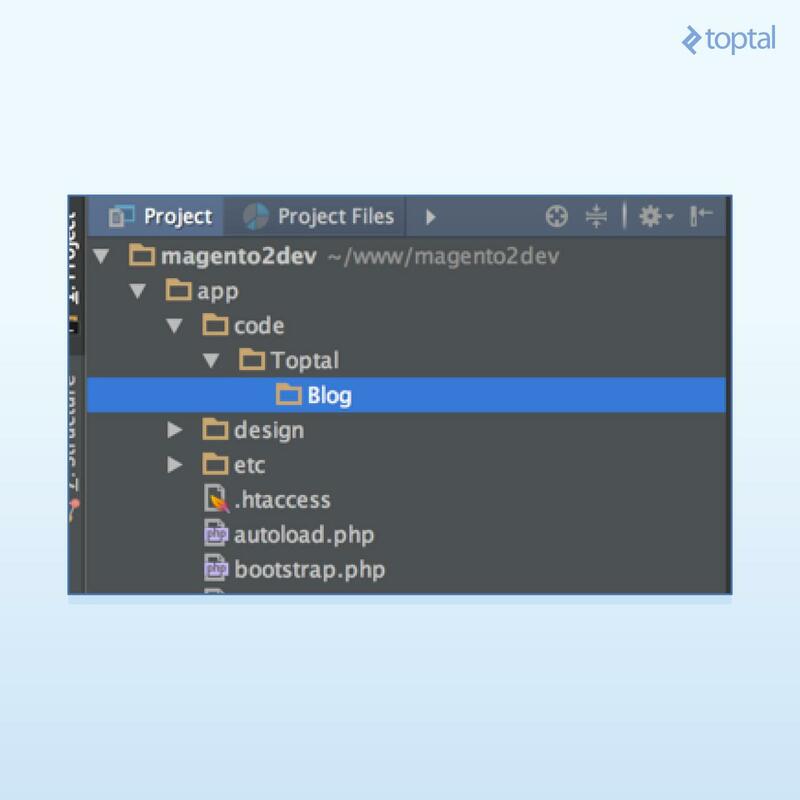 Notice that we suffix the $MAGE_ROOT variable with the /pub folder, making only part of our store available to the web. We then define our index file—the file nginx will load when the requested file doesn’t exist—as index.php. This script, $MAGE_ROOT/pub/index.php, is the main entry point for customers visiting both the shopping cart and the admin applications. Regardless of the URL requested, index.php will be loaded and the router dispatching process started. Next, we turn off some Nginx features. First, we turn off autoindex, which would display a file list when you request a folder, but don’t specify a file, and no index is present. Second, we turn off charset, which would allow Nginx to automatically add Charset headers to the response. Keep in mind that, whenever possible, it is best if you have your web server pointing at the $MAGE_ROOT/pub folder. Your store will be more secure this way. We’re finally ready to start writing our code! First, let’s take a quick look at the core source code folder structure, so we can define where to place our code. The way we installed has all of Magento 2 core code, together with all of its dependencies, living inside the composer’s vendor folder. We will keep our code in a separate folder, app/code. Every module’s name is in the form Namespace_ModuleName, and its location on the filesystem must reflect that name, app/code/Namespace/ModuleName for this example. Following that pattern, we will name our module Toptal_Blog and place our files under app/code/Toptal/Blog. Go ahead and create that folder structure. This file will be loaded by Composer everytime you run it. Even though we are not actually using Composer with our module, we must create it to keep Composer happy.